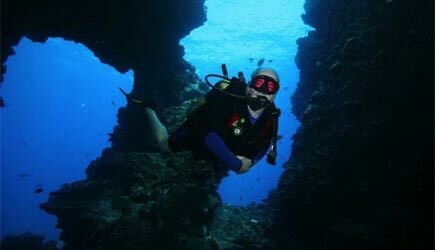 Featured here are Maui's two most popular scuba diving locations ... Molokini and Lanai. Both are accessible only by boat. Extended Horizons has added a 1.83% fee to support "green" initiatives such as day use moorings, biodiesel, and educational outreach. This 1.83% fee and the regular 7.167% harbor/sales tax will be added to the above rates. 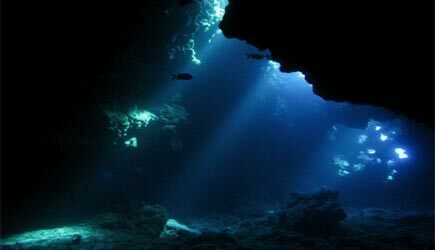 Lanai is a diver's delight ... the most famous spot is the Cathedrals, a volcanic grotto that is two stories tall inside! The light coming in through the numerous openings creates a supernatural effect, like the light coming in through the stained glass windows of a Cathedral. 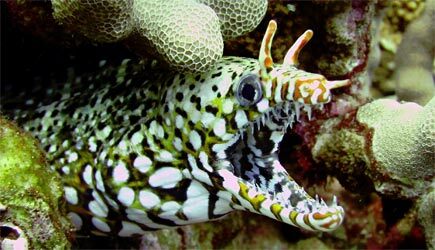 Keep an eye out in the nooks and crannies for lobster, nudibranchs, eels, and the white tip sharks that frequent the area. 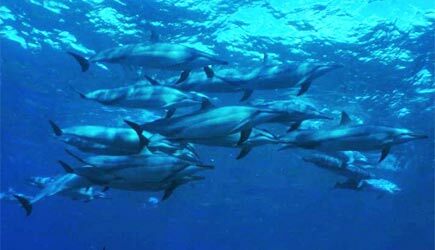 Dolphins and manta and eagle rays are frequently seen too. A second dive spot will be chosen on the day of your tour; very often one of the turtle hang-outs is a popular choice. Most dives average 60 feet. Extended Horizons offers daily trips to Lanai ... their speedy boat is certified for 21 passengers but they limit their trip to 11 divers per day. Quality dive gear is included for $194pp, or if you plan to use your own gear they will supply tanks and weights and the rate is $159pp. The boat has a fresh water shower, separate rinse buckets for cameras and dive gear, plenty of room on-deck, and lots of shade. Departure is at 6:45am from Mala boat ramp in Lahaina town. Night Dives are also available on Monday, Wednesday, and Friday evenings. 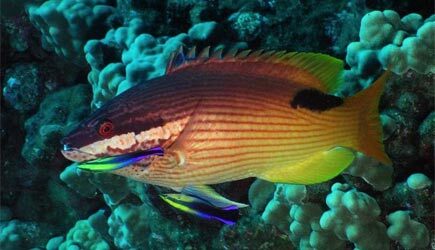 These are shore dives done at various locations along Maui's west coast. Check in at Extended Horizons' Lahaina location. All dive gear and lights are provided. NCL cruise ship passengers in Kahului are able to do Extended Horizons on their second day in port. A rental car is required and the drive to Lahaina is a little under an hour. Lahaina cruise ship passengers can do these tours only on day 2 (assuming your ship is spending the previous night in Lahaina). It is a very short cab ride or 15 minute walk from the cruise ship dock to Mala boat ramp. Minimum age for introductory dives is 10. Certified diving is offered seven days a week, but intro dives are only offered on Monday, Wednesday, and Friday. 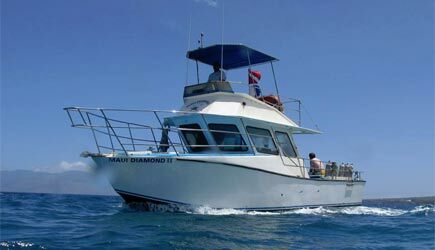 Maui Diamond is one of the very few boats that offers Molokini and Turtle Town dive trips with both certified and introductory divers. Absolutely no diving experience is required, but participants must be able to swim and have a good health record (see the tips section below for health requirements). This is a great chance to experience the world of scuba and decide if a certification course is something you'd like to pursue. It's a much better introduction to the underwater world than an intro dive in a swimming pool! 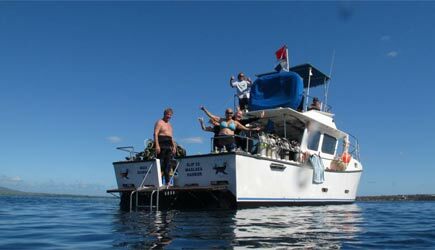 Introductory dives include a brief lesson on the boat on the way to Molokini. 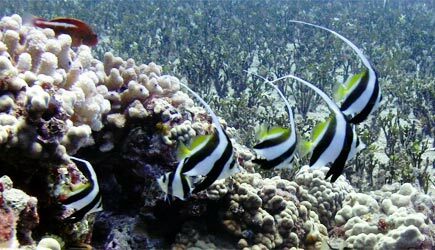 Once you arrive at Molokini intro divers will enjoy snorkeling the pristine and incredibly clear waters at Molokini. Then it is off to Turtle Town where you will experience a 20-30 foot introductory dive with one of the most fascinating residents of Maui's reef systems, the Hawaiian Green Sea turtle (also known as 'honu'). 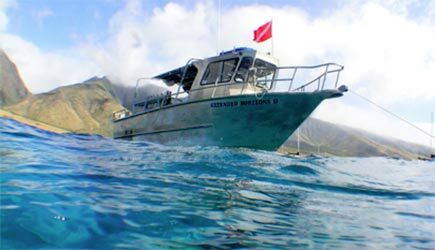 Certified divers go in a different "pod" and do two dives in the 60-70 foot range: the typical locations are Molokini and Turtle Town. This tour includes a continental breakfast and deli lunch. Introductory dives include all gear. Certified dives include wetsuits, tanks, weights, mask, snorkel and fins, but those needing a breath controling device and/or a regulator are charged a $15 rental fee which is included in the "need gear" rate published above. The Maui Diamond is Coast Guard certified for 21 passengers but the trip is limited to a maximum of 15 divers. Departure is from Maalaea Harbor slip #23. Cancellations must be made at least 48 hours before the start of the event. From December 15-31, cancellation is 72 hours in advance. NCL cruise ship passengers in Kahului are able to do the Maui Diamond intro or certified dives on their second day in port. A cab ride of about 15 minutes is required to get to Maalaea Harbor, or we can arrange a rental car for you. Lahaina cruise ship passengers can do these tours only on day 2 (assuming your ship is spending the previous night in Lahaina). A rental car is required as the drive to Maalaea Harbor is about 30 minutes. When booking scuba diving, plan your dives so that they don't overlap with some other activities that involve high altitudes. If you plan to do the downhill bike tour, a helicopter flight, trips to other islands, or just driving to the top of Haleakala, it is best to do those things first before you begin your diving. While it is more important to avoid high altitudes for 24 hours following your diving, many of the dive companies will require you to be at sea level for a full 24 hours before you begin your diving as well. Health concerns -- for those who plan to do an introductory dive, you will need to fill out a fairly lengthy health profile at the start of your dive (even certified divers have to do this, but most of their health problems have already been screened so it's less of an issue for them). If you have a history or asthma, bronchitis, or other breathing disorders, are on any prescription medications, have problems with ear infections, neck or back injuries, smoke, consume significant quantities of alcohol, or are in otherwise poor shape it is important to address these issues before committing to a course. If you sign up and then are disqualified on the day of your dive because of an obvious health concern the boat may not authorize a refund (because they were holding space for you that they don't have a chance to sell to anyone else). Please Please PLEASE disclose any and all health concerns in the box provided on the reservation form. The list above is by no means complete ... ANYTHING other than perfect health should be disclosed. We will contact you to get more details when appropriate; a divemaster will make a determination about your particular situation. 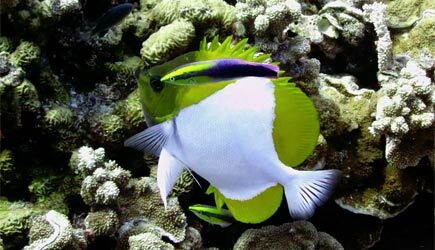 Those who are doing an intro dive on the Maui Diamond often ask why they can't do their intro dive at Molokini. 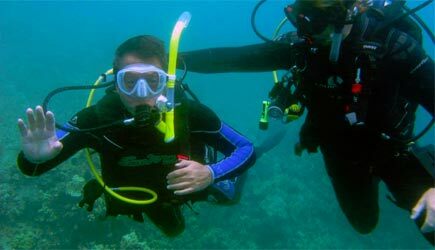 The short answer is the state of Hawaii's Department of Natural Resources has passed a rule that prohibits non-certified scuba divers at the crater. Intro divers will snorkel at Molokini and then do their scuba dive at the second location. There is one advantage to this though ... the "reef's end" area of Molokini where the dive boats moor offers the very best snorkeling at Molokini. Dive certification card is mandatory.